Jeff wouldn’t practice law if he couldn’t practice in labor and employment. He takes enormous pride in advising and defending the foundation of our economy: employers. Every day he arises with a passion to aggressively and responsibly represent clients in a broad range of industries. In his practice, Jeff handles matters involving countering various union tactics; responding to government audits; defending discrimination, retaliation and wrongful termination claims; avoiding employee wage and hour controversies; complying with prevailing wage and minimum wage laws; litigating employment contract disputes and unfair competition controversies; upholding independent contractor and contingent workforce relationships; and negotiating collective bargaining agreements. 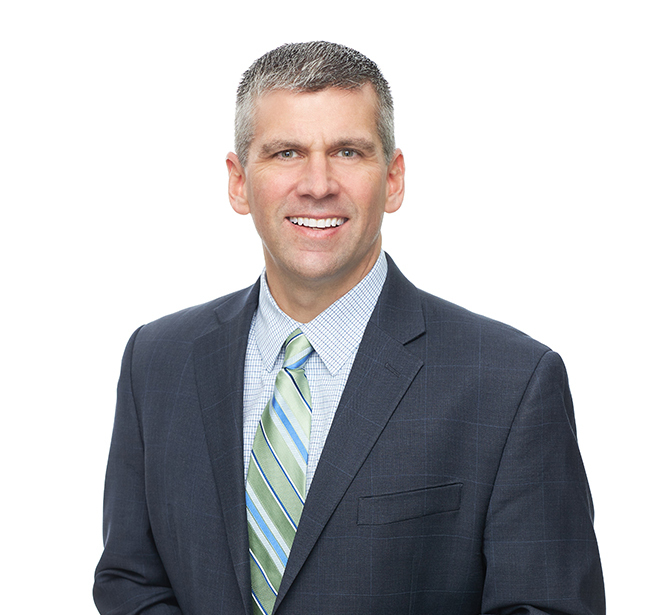 Jeff has many years of both private practice and in-house counsel experience. He represents employers throughout the U.S. and has taken several prominent cases successfully through arbitration, administrative hearing, trial and, when necessary, appeal. Jeff advises employers with the purpose of providing them the most efficient avenue to effectively manage. A prolific author and presenter, Jeff is often asked to speak on trending topics in the labor and employment arena by clients and educational providers around the country. He literally wrote the book on Labor & Employment Law for Illinois employers through the Illinois Chamber of Commerce. If you have ever been lucky enough to see Jeff present, you know you are in excellent hands in any negotiation or a courtroom! A former manager and current business owner, Jeff understands and relates to the objectives of his clients. He applies his passion for business and employers in his work as chairman of the Illinois Chamber of Commerce Employment Law & Litigation Committee, chapter labor counsel for the Associated Builders and Contractors of Illinois, and chapter labor counsel for the Northern Illinois Building Contractors Association. As chair of the firm’s expansive, management-side Labor and Employment Practice Group, Jeff oversees a team providing comprehensive counsel to employers across the country. As a member of the firm’s Executive Committee, Jeff helps to set the strategic vision for the firm and ensures that each of the firm’s clients receives the best possible experience working with SmithAmundsen. Successfully obtained denial of motion for class certification ‎in contentious FLSA and IMWL wage and hour matter. District Court found the purported class representative was not adequate due to evidence of dishonesty concerning his own time reports. Aggressive discovery strategy and effort led to proof that the former employee was working for multiple employers at same time; committing time fraud. Obtained Summary Judgment dismissal on Racial Bias claims pursued under Title VII and Section 1981 in the immediate wake of the 7th Circuit’s Ortiz decision. Successfully represented two separate franchise owners against union organizing petitions filed by a Chicago based Teamsters local union under the NLRB’s “Ambush Election” Rule, where the vote count initially appeared unanimously for the union. After careful strategic planning under a “joint employer” analysis under the NLRA, both franchises were combined into one unit for the final vote, which ultimately resulted in the union being voted down. Successfully represented concrete manufacturer against laborers' organizing petition of the company's "working foremen" upon demonstrating at the NLRB that the workers at issue met "supervisory" status under the NLRA; and, therefore, are exempt from being represented by a union. Secured judgment for regional banking client accused of terminating an employee after she applied for and took leave allegedly due to domestic violence. After a multiple day evidentiary hearing at the Illinois Department of Labor, in the first contested case arising under Illinois' Victim's Economic Safety & Security Act (VESSA)‎, it was determined that the leave was obtained under false pretenses and abused. Underlying decision upheld by Illinois' Appellate Court (2nd District). Secured reversal of the New Jersey Department of Labor's 7-figure tax assessment against a national publishing company’s business model that relied on engaging thousands of independent contractors. Following a multiple day trial, spanning several months, the Office of Administrative Law determined the individuals at issue were bona fide independent contractors. Successfully served as lead attorney in multiple union organizing campaigns spanning diverse industries; including recent campaigns under the NLRB's new "Ambush Election" rule. Obtained summary judgment dismissal in favor of clients accused of tortiously causing a new business to suffer $20,000,000 + in "lost profits" by navigating and advancing arguments pursuant to Illinois' New Business Rule. ‎Obtained arbitration award denying former sales person's claim of $500,000 in unpaid commissions and interest against national medical product distributor, and ultimately determined that the employer owed her $0 following multiple day arbitration proceeding. Secured restraining order and injunction against school district for unfairly trying to sway construction work away from the lowest bidder (a non-union contractor) and give it to the 2nd low bidder (a union contractor). Upcoming Changes to Illinois Prevailing Wage Law? Social Media in the Workplace: What's Fair Game?